I read a lot this month. A lot. And while I’m glad I got to read as much as I did, this end-of-the-month recap overwhelms me a little. I’m afraid most of what I have this month is the general feeling of “liked it” or “didn’t.” I’m going to try something different next month (and going forward if it works well). I will be posting these short reviews on my Instagram account (mrsopusreads) and then compiling them here as well. Eleanor Oliphant Is Completely Fine, by Gail Honeyman. I liked this quirky protagonist quite a bit. Eleanor is structured (perhaps an understatement), socially awkward, and isolated, lonely probably without fully realizing it. In some ways her transformation (both physical and emotional) over the course of the book could be the stuff of a s0-basic-as-to-be-generic butterfly-coming-out-of-her-cocoon story, but for some reason I do think it avoids being bland. I feel like I will sooner rather than later forget the details of why I liked this book so much, but the good feeling of having liked it will cause me to recommend it anyway. Sing, Unburied, Sing, by Jesmyn Ward. If I wanted to finish this one (and I did), I had to read it faster than I would have liked to (to get it back to the library on time). The story is told from two different points of view–that of Jojo, a thirteen-year-old boy, and that of his mother, Leonie. These two, along with Jojo’s toddler sister, Kayla, and a friend of Leonie’s, take a road trip to pick up Jojo and Kayla’s father when he is released from prison. It is fitting that the plot is simple; the characters and relationships are anything but. (That’s a convoluted way of saying this is a character-driven novel.) The writing in this book is to be savored, and I kick myself for not being able to. I will be seeking out more Jesmyn Ward for sure. A Thousand Mornings: Poems, by Mary Oliver. Poetry is not my go-to genre. I don’t love it; I don’t dread it. I did find this collection an enjoyable way to pass an evening. In the Time of the Butterflies, by Julia Alvarez. The premise of this intrigued me–it is the (true) story of four sisters who were active in speaking out against the oppressive Trujillo dictatorship in the Dominican Republic. Known as las Mariposas, the Butterflies, three of the four sisters were killed in an “accident” while one survives to tell their story. Honestly, I wanted to like this book better than I did. It was told from several different points of view (each of the four sisters in turn), and some worked better than others. I think somehow this fictionalized version lost (at least for me) the intensity of the lives that led to these women becoming mythic heroes. I would love to read a non-fiction account of these sisters, though. Velocity, by Dean Koontz. I got in my head that I wanted to read a book whose author’s name on the cover was bigger than the title. This was a (fittingly) fast read. In terms of pace and content (though not point of view), it reminded me of the kind of tv shows Jason and I often watch (lately we’ve been on an Elementary kick, but Castle before it was horrible was similar). I wasn’t super impressed by the reveal, but it was a satisfying read for what I expected from it. I wouldn’t rule out reading more Dean Koontz, but I probably won’t seek him out either. 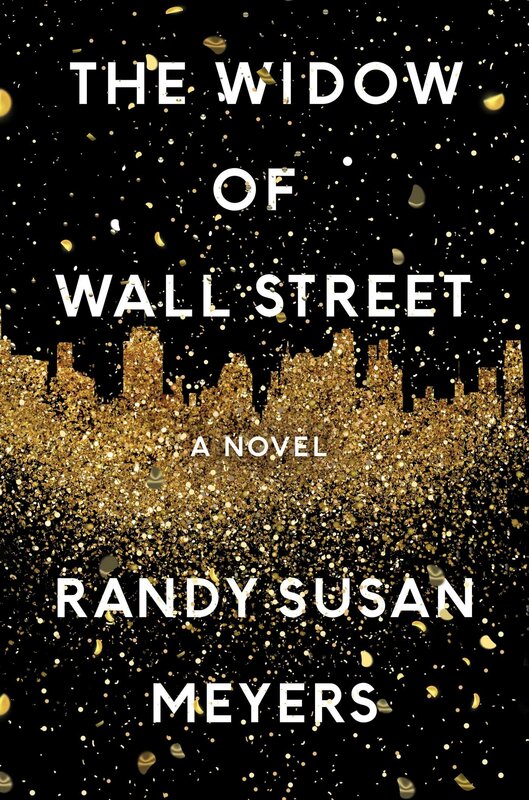 The Widow of Wall Street, by Randy Susan Meyers. I picked this book up from the library because I couldn’t stop thinking about its gorgeous cover. What do I say about this book? I liked it well enough to finish it for sure, but it won’t be particularly memorable. Perhaps the jacket copy gave away too much–Phoebe marries her high school boyfriend, Jake, and they live a glitzy life, but later Jake goes to prison for his Ponzi scheme and her world unravels. So, I mean Jake was just as much a money-loving, self-centered dirtbag as you would expect, and, well, that’s the story. I am not quiet about the fact that celebrities’ lives interest me only for a short while before they bore me; I don’t have much attention span for the super-rich (or their downfall) either, I guess. Even so, I fall more on the “yeah, go ahead and read it” side than the “skip it” side–either is a fine choice, I think. The Hate U Give, by Angie Thomas. This is the story of a young teenage girl who was in the car when her childhood best friend was fatally shot by a police officer. This book is way too current and way too infuriating and heartbreaking and raw to say that I liked reading it. May B., by Caroline Starr Rose. I can’t stop recommending this one. I picked it up and started reading it while I was volunteering in the kids’ school library and afterwards drove straight to the public library to check it out. It is written in verse and is the story of May, a pioneer girl in Kansas who is sent to live and work with another family for a few months. Slight spoiler (but not really), she is abandoned in the soddy and has to figure out how to survive by herself with the oncoming winter (since her parents aren’t set to fetch her until Christmas). It is beautiful and intriguing and I can’t stop thinking about it. I described it to Simon, and he said “that sounds like my kind of book,” so now he’s reading it too. Highly, highly recommended. Rabbit Cake, by Annie Hartnett. I heard about this on the podcast From the Front Porch, where it was recommended as a good audio book because you could really “hear” the eleven-year-old protagonist’s voice. A blurb for the audio book said, “fans of Maria Semple’s Where’d You Go Bernadette? and Celeste Ng’s Everything I Never Told You will delight in [this book].” I did in fact like both of those books very much, and although those two books don’t have much to do with each other, I think it’s pretty accurate that this has elements of both. Although Elvis is eleven, this doesn’t really strike me as a YA novel (which is neither here nor there but a good thing in this case). I do like the way the story unfolds precisely because it is told from a younger person’s point of view; much of the humor and insight comes because of the things she doesn’t yet understand and/or her age-appropriately-immature thought patterns. Gorge: My Journey Up Kilimanjaro at 300 Pounds, by Kara Richardson Whitely (read by the author). I believe I first heard of this one on the What Should I Read Next? podcast. I listened to this one. Despite being a journey, and up a mountain at that, I’m not sure I really registered much movement (in terms of what in fiction would be called character development). She climbed the mountain, she’d done it before once and she’d failed before once. This third time was trying to recapture some of the success and accomplishment of her previous completed attempt and erase the feelings of failure from the failed attempt. In the end, I don’t think there was a really profound lesson or mountaintop experience. And that’s fine. (Honestly, if you read this book and find that I missed the poignant lesson in it all, I will believe you but stand by my non-registering of it.) Sometimes climbing a mountain is just climbing a mountain. I did enjoy following along her thoughts and fears and self-doubt (and overcoming or at least facing the latter two) for the few days it took me to listen, but on the whole the book didn’t really elicit much of any reaction from me. Dear Fahrenheit 451: A Librarian’s Love Letters and Break-Up Notes to the Books in Her Life, by Annie Spence. I heard about this one on a podcast (WSIRN, probably). It hit the spot. I mean, I really love to listen to people talk about books. Oh yes, I remember the podcast was WSIRN, and I know that because I remember Anne Bogel saying that this definitely does not pass the “read out loud to your grandmother” test. True. The author is snarky and quite funny. I laughed a lot. I did wish that I had the hard copy in front of me because the last quarter of the book or so is a bunch of lists of books. Since this felt somewhat like listening to a podcast, I kept thinking I need to read the show notes. Adnan’s Story: The Search for Truth and Justice after Serial, by Rabia Chaudry (read by the author). It seemed only appropriate to listen to this as an audio book. I have been captivated by this story since Serial. (And these brief thoughts assume that you are familiar with that podcast.) I’m not sure if this would be as compelling if you had not listened to Serial, but she does tell the whole story, so I think you wouldn’t be lost. However, if you did listen and still want more of the story, I’d definitely recommend this. American Fire: Love, Arson, and Life in a Vanishing Land, by Monica Hesse. This was recommended by the From the Front Porch podcast as a modern comp for In Cold Blood (true confession: although I do tend to like the true crime genre, I have never read In Cold Blood. I will think about remedying that). The premise is that eighty fires were set by an arsonist in a five-month period in a rural Virginia county. The book follows the story from the point of view of both law enforcement and the arsonists and also offers some commentary on the (declining) economy and culture of the area. This is definitely more along the lines of an extended This American Life episode than a mystery. It kept my interest throughout, and I would recommend it.